Treat your skin to a little luxury! A variety of Hollywood stars have been the face and fans of Shiseido over the years including Jennifer Connelly, Amanda Seyfried & Gwyneth Paltrow to name just a few! This facial will balance your skin and restore your skin's proper moisture level. Shiseido skincare delivers youthful, supple and dewy fresh feeling skin through its advanced skin care technology helping to improve the aging process and fragile, fatigued skin caused by hormone change. Includes facial steamer, extraction, facial vacuum and electronic facial toner machine machine to tighten and lift facial muscles after a hand massage. This is a truly sensational facial using 100% natural botanicals from the "Sensatia Botanical" range. Your face is left feeling truly cleansed, nourished and balanced. Every product in this range has been designed to be gentle yet, intensely hydrating, and replenishes the essential vitamins and minerals in the PH balance of your skin. With product names that smell as good as they read, such as blossom facial dream cream, sandalwood dream facial toner, coconut and vanilla facial scrub, wild honey facial mask, you will look and smell divine after this facial ! "Biokos" is produced by a French company with the firm belief that nature's best ingredients work in harmony with skin cells to enhance the skins youthful radiance and vitality. Biokos products help to give you healthy, naturally beautiful skin. This facial will help to improve and maintain the skin's firmness. Facial exercises and massage help to create a firmer, smoother and younger looking skin by gently toning and firming the facial muscles. Age appropriate products within the range are used so this facial is suitable for all skin types. Includes facial steamer, extraction, facial vacuum and electronic facial toner machine that tightens and lifts the facial muscles after a hand facial massage. No matter your age, this facial provides your skin with a deep cleanse, exfoliation and a radiant glow. Includes facial steamer, extraction, facial vacuum and electronic facial toner machine that tightens andlifts the facial muscles after a hand facial massage. Korean "24k Active Gold Aqua Soft Gold"
A manicure that includes hand soak, cuticle tidying and removal, hand massage with exfoliation, nail shaping and precise application of original OPI nail products and nails are dried using our professional nail drying machines. A manicure that includes hand soak, cuticle tidying and removal, hand massage with exfoliation, nail shaping and precise application of original CDN CREATIVE PLAY nail products and nails are dried using our professional nail drying machines. Our pedicure includes a cleaning foot bath, foot scrub and de-rough- ing of hard skin, cuticle tidying and removal, foot massage and exfoliation, nail shaping and precise application of original OPI nail products. Painted toe nails are dried using our profes- sional nail drying machines. Treat your nails to a superior service with the Shellac brand 14+ day colour System. It delivers two weeks of high performance durable wear with no nail damage, stunning crystal shine, quick dry time, a fabulous range of colours and only 15 minutes removal time. 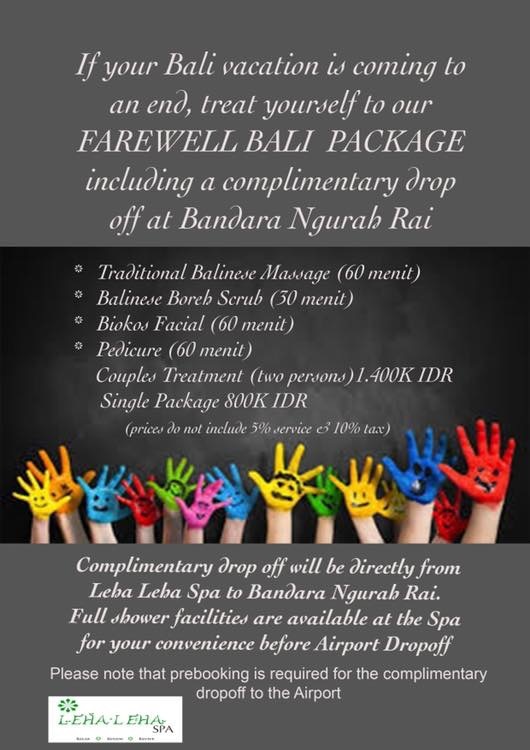 A popular Balinese foot and leg massage therapy that works on the zones and reflex areas of the feet that stimulate the major organs, glands and parts of the body helping to restore the natural balance to specific areas of the body. An intensely relaxing head massage to truly relax you using a combi- nation of the fragrant and conditioning Ylang Ylang oil and Coconut Oil. 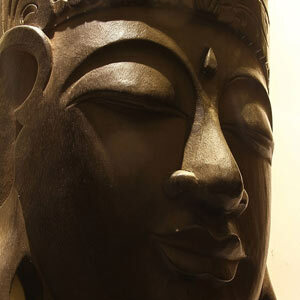 The Balinese massage is a full body, deep tissue holistic treatment. It has developed over centuries with medical influences from China, India and South East Asia. The Balinese technique is to apply gentle stretches, elements of reflexology, long massage strokes, pressure point stimulation and kneeding of the muscles to relieve tension and improve circulation. 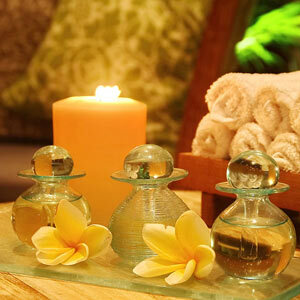 Clients may select which of the 3 natural holistic oils the spa offers for their massage (Jasmine, Green Tea, Frangipani). Whether you are a professional desk surfer, sitting hours in front of a computer or an overworked parent or someone constantly on the move, daily life takes a huge effect on our bodies resulting in aching backs, stiff necks and tight shoulders! This massage will go a long way to helping you relax and rejuvenate yourself and relieving that tension you have allowed to build up. Clients may select which of the 3 natural holistic oils the spa offers for their massage (Jasmine, Green Tea, Frangipani). Go on – treat yourself! After this massage using Lavender oil, you will float out of the spa! With carefully applied spinal pressure and foot reflexology sequences to target the nervous system, all the stresses and strains will just ease away bringing your mind and body back into balance. You can be sure of a good night's sleep after this therapy! 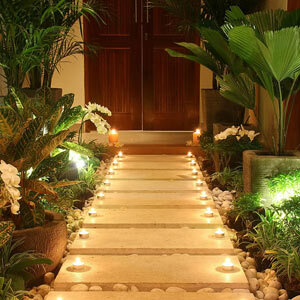 This massage combines techniques from Balinese massage as well as those used in Thai massage and shiatsu massage therapies. The technique is extremely effective at relieving tired muscles and assisting the body in eliminating toxins which in turn, promotes deep relaxation and a sense of well-being. This massage successfully relieves the body of stress and fatigue brought on from the stresses of modern life. Thanks to the Earth and Gods of Bali, we are able to select the island's very best ingredients to create the Leha-Leha signature 'spicy' oil which is extremely effective in warming the muscles, relieving tension and improving blood circula- tion. This is a truly therapeutic treatment and you will truly feel re-energised after this massage! Hot stone massage is a deeply relaxing natural therapy originating from Native American Indians to treat aching muscles. Pre-warmed stones are positioned on parts of the client's body to maximize the therapeutic benefit of heat on tight muscles. The stones used have a very smooth surface and their heat helps the muscles to relax, allowing the massage therapist to manipulate your deep tissues more effectively. As the stone cools the therapist replaces it with another. Overly tense muscles can hinder a massage procedure so if your muscles are extremely tight or stiff, the heated stones may provide the extra relaxation you need for the massage to be beneficial in releasing tension and easing sore muscles. The therapist may leave headed stones in specific points along your spine, in the palms of your hand, on your belly or even beetween your toes to improve the flow of energy in your body. A restorative, rejuvenating and spiritual massage that promotes greater flexibility, improved posture, lower blood pressure, improved circulation and the elimination of toxins and negative energy within the body. This specialist massage therapy is a powerful combination of the sacred and healing 'Lomi Lomi' massage technique used over centuries in Hawaii and the massage techniques used in Thailand. Using forearms, elbows, fingers and hand palms, the therapist uses massage strokes that are long, smooth and relaxing and at times, quick and invigorating. Lomi Lomi has been practiced by the Hawaiian healers for centuries to restore health in families while the mechanics of Thai massage show strong Indian ayurvedic and yogi influences. The two techniques are combined in this therapy with a smooth rhythm and flow creating a fully body massage that will give you the sensation that you have done a rigorous yoga session followed by meditation! Gentle regular massages during pregnancy are not only relaxing and safe but highly effective at boosting your energy levels and in turn, relieving fatigue and stress on the body and mind. Regular massages during pregnancy are a great way to relieve the strains and physical changes that the body undergoes at this time such as: fluid retention, improving circulation, lessens varicose veins, improving skin elasticity (which in turn reduces stretch marks), improves digestion, eases cramps, back ache and general muscular and joint aches and pains. A pregnancy massage is a real treat for not only your body but essential in improving your wellbeing, vitality and overall health at this precious time and therefore, your baby’s overall health as well. Using traditional spices or “rempah-rempah”, known as Balinese cream, the boreh removes dead skin cells, smoothing the skin’s surface and helping to boost blood circulation. The sense of warmth emitted from the spices also gently relieves muscletension in the body at the same time as giving your skin a wonderful dewy smooth glow. The milky smooth mixture of shredded pure coconut and pounded rice is extremely cleansing, softening and hydrating for dry or sun kissed skin, leaving the body baby soft and glowing! This scrub is revered in Asia for its anti-aging properties because it is so rich in anti-oxidants that help ward off wrinkles by reducing the free radicals in the skin. The mix of Green tea leaves, pounded rice and sandalwood is a powerful natural combination, helping to remove dead skin leaving you feeling refreshed and renewed. Feel your Skin at its best. Not only will you glow and smell good enough to eat when you leave but the dreamy body butters by 'Sensatia Botanicals' are made from pure botanical essential oils (also available to purchase at reception). Scrub up with a body scrub of your choice followed by an application of your choice of heavenly body butter.